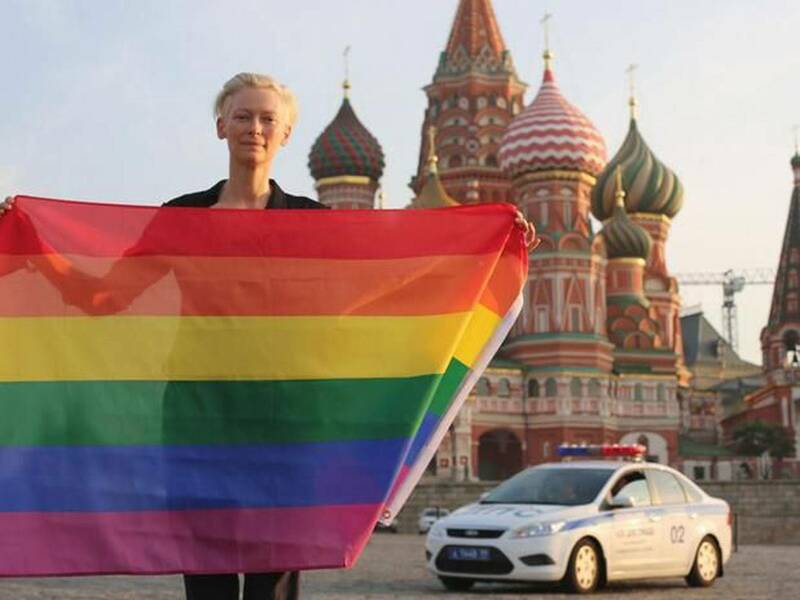 Tilda Swinton with a rainbow flag, in front of Saint Basil’s Cathedral in Red Square Moscow, July 2013. 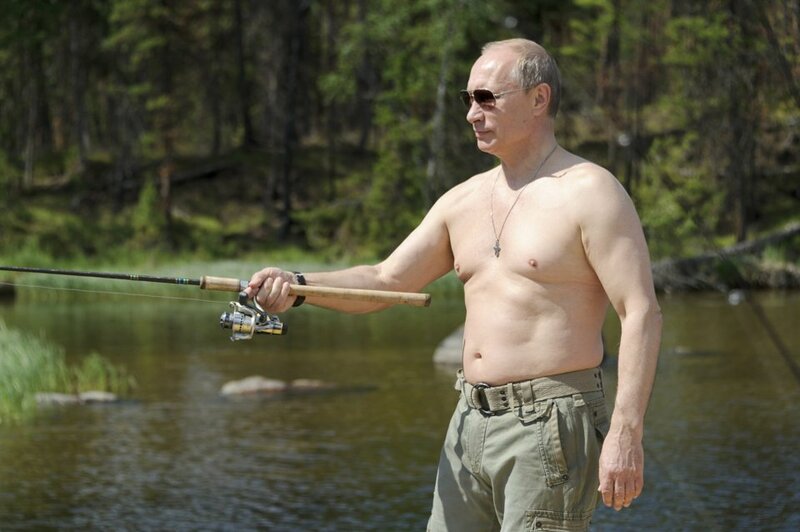 Tilda’s photo was released along with a statement that read: In solidarity. 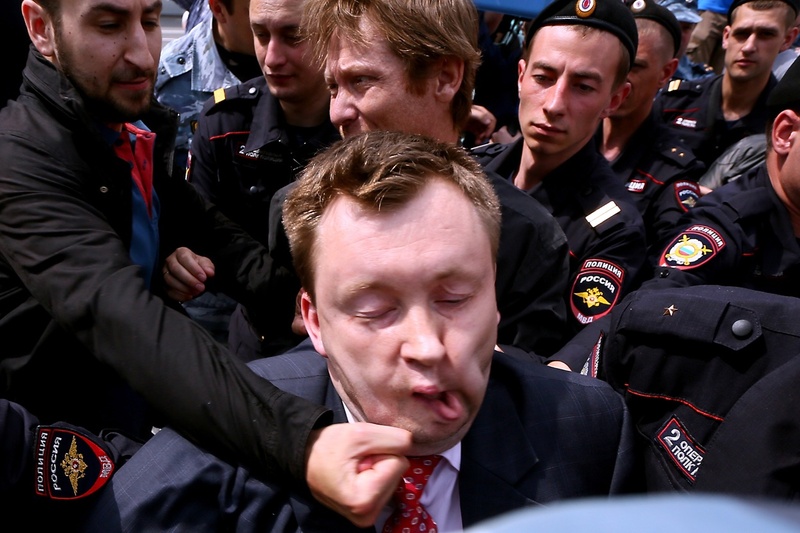 From Russia with love.